René Descartes (1596-1650) argued that we cannot be certain of the truth of any of our beliefs about the external world. Our only reason for believing in the existence of the physical world, after all, consists in our experiences. All our beliefs about the physical world are based on our experiences of the physical world. But an evil demon could give us these very experiences without there being a physical world to make the beliefs we base on these experiences true. 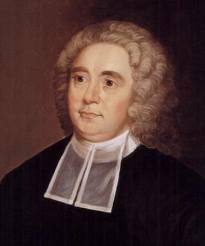 George Berkeley (1685-1753) accepted Descartes’ argument, to the extent that he believed we could be certain only of the existence of our experiences. But Berkeley rejected Descartes’ claim that this entails we know nothing about the physical world. All we have to do, claimed Berkeley, to justify our claim to have knowledge of the physical world, is to recognise that physical objects are constituted of experiences. To be, said Berkeley, is to be perceived (“esse est percipi”). We will never have any reason for thinking that a physical object exists that doesn’t consist in a set of actual and counterfactual experiences (counterfactual: if I had been there I would have seen it). Can we undermine Descartes’ claim that we cannot be certain of the truth of any of our beliefs about the external world? This entry was posted in Monthly Conundrums and tagged beliefs, Cartesianism, closed mind, esse es percipi, evil demon, external world, George Berkeley, idealism; doubt, René Descartes. Bookmark the permalink. On Descartes, right on, on that about experience! In the Discourse, he says that he didn’t embark on the method of doubt until reaching maturity, and after having lived according to “custom” and moderation. So, his project is rooted in experience, whatever happens! In the Meditations, I think he suggests a solution to the evil demon problem when he sets up the cogito. He says that the ability to know or perceive won’t be thwarted “so long as I think that I am something.” Then, even if there are evil demons plaguing perception, “I think, therefore I am.” There’s some profound metaphysical point there- about having the will to knowledge, and being. Here’s a link to the text- under point 3. Hi Terry, glad you like the website. Yes, Descartes was very particular about the conditions under which he conducted his Meditations. The Cogito is demon-proof. That is the point of it. It is a hugely important metaphysical point. But it is not a solution to the problem of the demon’s coming between us and the external world. I mention Berkeley as well because Berkley was starting where Descartes left off. Berkeley believed that if the only things we can know about are mental (a point he believed Descartes to have established). Then either we cannot know about physical objects OR physical objects must be mental. Berkeley was anti-scepticism, so he plumped for the latter. Your own argument is quite Berkeleyan. Hi Marianne, wow, what a lot of posts! I’ll keep this as to the point as possible! We agree on the metphysical value of what Descartes is saying. Knowledge of objects in the the external world can still occur because knowledge involves direction of the will- expressed by his assertion “so long as that I think I am something.” Then, because we have being, and the ability to think, (the cogito), we have the ability to shut off illusion about the world because as a thinking subject, to perhaps take an ethical turn, being is greater than evil or non-being or illusion. (The latter is how I would characterize evil, or its effects- we don’t have to get into it here. I discussed with Shlomit once). We bring our full being to the table in a world where we face illusions, from within or without. But because of that, and by using reason, we can shut them off like shutting off a television program one doesn’t like. While one might not see the television show, or want to see it for good reasons, but the rest of the world is still perceptible. So, evil demons can’t detract from knowledge or perception of the external world-unless the external world is one big demon. (Let’s hope not). So, the end result is I’ve really got a lot of thinking to do, really! And another huge work to tackle! Thanks and all the best as usual!! (ii) the belief our experiences are a good guide to the nature of that external cause. These beliefs are fundamental because anything and everything that exists in the external world has an impact on us ONLY through our experiences. In postulating the demon, Descartes is pointing out that for all we know our experiences might have (i) no cause at all (Descartes considers first that there may be nothing at all external to our experiences – but he then says it is virtually impossible to imagine this) (ii) a cause quite different from that we postulate (i.e. the demon rather than the external world as we imagine it to be. The demon is a device to get us questioning these fundamental beliefs. All the best to you and especially good luck with the thesis Terry! Isn’t the claim of objectivity terminologically impossible? An object that exists without me: like that it is transcendent. It seems like the language forbids the natural scientific view. External? External to what? Descartes’ extra-mundane consciousness, that sound more like internal to reason taken as god. Good questions Chus! The claim of objectivity is clearly not terminologically impossible. Though I am not entirely clear what you mean by that, or by the claim that language forbids the natural scientific view. Perhaps you could explain a bit? But there is certainly something epistemologically worrying about objectivity. Kant, like Berkley, believed we couldn’t know the object in itself. I remember sitting in school, aged about 7, trying to open my eyes quickly enough to catch the world that I wasn’t looking at. How can we know about the world as it is unperceived by us? ‘External to what’ is also a good question.The answer is ‘external to one’s own mind’ (certainly not to Descartes’ own mind). To see why this is as important as it is you have to do the though experiment for yourself. I am thinking of doing a short podcast about the application of the method of doubt culminating in the cogito (I think therefore I am). Doesn’t objective (fact) mean knowledge of something existing without me, in that way transcendent. But knowledge says having information about something, something I couldn’t reach because it exists without me, is transcendent. Even if an unlimited power tricked me I am such as to be tricked, I am. But not as something inside or outside the world of all the things that can trick me. As god. Descartes claims to be god. I always used to tell undergraduates not to use the words ‘objective’ or ‘subjective’ until their third year. There are objective facts about subjective states (it is surely an objective fact that you either believe P or you don’t?). It is not Descartes who is God, but the Demon. Of course Descartes couldn’t risk the Inquisition by saying that but read between the lines and it is clear that he is wondering what could be the case if the omnipotent, omniscient being was evil rather than good. Does it not depend what we mean by “certain”? There are truths (mathematical ones being the paradigmatic case) that we can know through reason alone but true beliefs about the external world seem to be in a different category. If knowledge is justified true belief, and the external world really does exist then one justification for having “certain” beliefs about the objective world – and so knowing abuot it, is just that is a much more straightforward explanation of our perceptional content than that the alternative: ie that we are being systematically deceived by a demon who sets up a deceit which works “just like” the putative real world does, from general relativity down to quantum effects. I’m sure this is either simplistic or misses your point, or both! Thank you for your kind words about the site. Delighted to see you taking up philosophical cudgels! It is not obvious the demon couldn’t get between us and mathematical truth as well as between us and the truth about the external world. What is it, after all, that makes ‘2+2=4’ true? It is not usually taken to be the fact we believe it. What is strange about ‘I think therefore I am’ (Descartes’ cogito) is that it needs only our thinking it to make it true. That’s why it escapes the demon. We could certainly appeal to arguments from the best explanation to justify our belief the external world exists (in the face of Cartesian doubt). But our justifications are then only as certain as our belief the existence of the external world IS the best explanation of our experiences. Why isn’t Berkeley’s just as good? THAT is the question. Thanks for the swift response, Marianne. The original question was “Can we undermine Descartes’ claim that we cannot be certain of the truth of any of our beliefs about the external world?” I read that as a question about epistemology – what does it mean to be certain about the truth of a belief? Rather than one about ontology – “does the external world exist?” I’ve long thought that there is a danger in conflating the two. I don’t think that positing the existence of an external world begs the epistemological question (but as I said, it has been a long time!) I wasn’t going to mention Gettier – though as I recall, the standard response to those counter-examples is to say that knowledge is justified true belief that somehow “tracks” reality. The external world either exists or it doesn’t. If it does then I can never have a belief about it, about which I can be as “certain” as either the Cogito or that 2+2=4 (which I am pretty sure is demonstrably true in all possible worlds, even if Euclid’s postulates aren’t). That doesnt mean that I cannot have a belief about it, in respect of which I am justified in ascribing a pretty high level of certainty. Berkeley’s claim is one about the nature of external objects, but it doesnt follow that just because we cannot have the same degree of certainty about their exitence as we do about our own consciousness that they don’t exist (the ontological claim). Right – time for a cup of tea! There is certainly a danger in conflating the two: one is an epistemological question, the other an epistemological question. But they come together if we believe that knowledge requires truth. If knowledge requires truth, then we cannot have knowledge unless we can know the truth. Given that ‘the chair is blue’ is true only if the chair exists, then we cannot know the chair is blue unless we know that the chair exists. The standard replies to Gettier all involve strengthening the justification requirement. If you are a Lockean about the external world (i.e. physical objects are constituted of ‘unperceived matter’ – the something I know not what) you can never be as justified in your beliefs about the external world as you can about your own existence or mathematics. On Berkeley’s view, however, we can be as certain about the existence of physical objects as we can about our own existence. They are, after all constituted of our own experiences (actual and counterfactual). Your “certainty” is binary, mine is analogue! It comes in shades of grey, not just black and white. My comment about your chair comment was meant to show that it makes sense to suggest that we can have knowledge about things that do not exist; it isn’t an adequate response to say that it is just about tense. Yes, kknowledge requires truth, but knowledge cannot require knowledge of the truth of the thing believed; that just leads to an infinite regress. I’m afraid that I am an unreconstructed Johnsonist when it comes to idealism: “I refute it THUS!” (spoken whilst kicking a large rock). What about the sentence “Unicorns have one horn”. Is that true if and only if unicorns exist? The existence or otherwise of the external world must be logically prior to our beliefs, or knowledge, of it. If it exists AND I have beliefs about its attributes then:1 – I can hold those beliefs with a degree of certainty, because the malin genie is an unnecessary complication; and 2 – if it turns out that those beliefs are true in virtue of the properties of the external world, THEN they amount to knowledge. The fact that the knowledge is not of the same “degree” of certainty as that which I have of my own experiential states doesn’t really matter, does it? Depends what you mean by ‘exists’. We would normally want to remove unicorns from our ontology. One approach would be fictionalism: we would say that unicorns having one horn is true-in-fiction. I like your first paragraph, Martin! I shall have to check the bible on the second! And why not? It is not literally true is it that unicorns have one horn? It IS true that the fictional unicorn has one horn. So we could (like Meinong) allow a level of fictional existence and say that on that level it is true that unicorns have one horn. But now we’re arguing about the meaning of ‘exists’ not whether existence is necessary for truth. Surely Descartes Demon shows us that the existence of the external world is NOT ‘logically prior’ to our beliefs. Certainly the existence of the external world is logically prior to our knowledge of it. But that is because logically knowledge requires truth, so we cannot know about the external world unless the external world exists. Beliefs differ from knowledge because beliefs needn’t be true. Well, yes, but hang on: Knowledge is justified true belief plus whatever else you add to the necessary conditions in order to get round Gettier cases. But surely it is not necessary for P to know that X is true in order for P to know that X? My point is that IF there is an external world then we can have justified true beliefs about it despite the risk of being deceived. As for the unicorns, your comment about the chair suggests that I can only know anything about the chair if the chair exists: i don’t think that can be right because I might well know that the specific chair did exist once and does so no longer (a bit like Theseus’ ship)… I would also say that I can know things about unicorns and I don’t think you disagree, but that doesn’t really get to the heart of this conundrum! Well isn’t it? If truth is required for knowledge, then surely knowledge of truth is required for knowledge about knowledge? I think it is right to ask ‘must we know we know in order to know?’ But a good argument can be made for the answer ‘yes’. We know we have beliefs about the external world (or at least what SEEM to be beliefs about the external world). We know these beliefs are justified. But we do NOT know they are true. As for your last sentence you are now talking about the truth of the sentence ‘the chair was blue’. I was talking about the sentence ‘the chair is blue’. Everything I said still goes, except we must change the tense. Does not the Unicorn by definition and nomenclature necessarily have only one horn? Yes, but the question was ‘is it true that the unicorn has only one horn’ to which one answer might be ‘no unicorns don’t exist at all’. It is Not True only if and only if they exist. It can be true if they are believed to exist. mathematicians and engineers are familiar with imaginary numbers. The square root of -1 which cannot by definition exist is however such a useful tool that mathematicians call it i and engineers call it j and use its properties. Thus while in one rigid mathematical content it cannot exist, in the context of complex and imaginary numbers it regularly used and so must exist. In other words, Berkeley goes further than is required just to preserve the possibility of knowledge of the external world, to the extent that it exists. I’m with GE Moore here and his waving hand. Our pre-philosophical justification for believing in an external world is so great that we should not entertain seriously any philosophical argument that there isn’t, even if we cannot see what is wrong with the sceptical argument. Oh yes? Tell me Martin what IS your justification for believing in an external world? I disagree. Once it is established (and Descartes seemed to have established it at the point Berkeley was writing) that one cannot have knowledge of anything other than our experiences, if objects are not constituted of experiences objects cannot be known. Berkeley was the intellectually honest one to have recognised this. P1: If there is an evil demon, there is something external to me that exists. P2: An external world consists of at least one thing external to me that exists. P3: There is an evil demon. C: Therefore, there is an external world. P1: If there is no evil demon and normal conditions pertain, then I can take the external world at face-value. P2: Taking the external world at face-value means having no positive evidence that the external world is other than as it appears. P3: There is no evil demon. C: Therefore, I can take the external world at face-value. P! of your second argument is problematic. It comes down to ‘if the external world exists then I can take it at face value’. But why should we accept this? After all the external world MIGHT exist. And we cannot take it at face value. It is true that if the external world exists then our beliefs about it are true. But so long as we don’t KNOW they are true how are we justified in taking them at face value? And WHERE do you get P4 from????? For P1, I think that is where Moorean facts come in. Why should you accept otherwise? You have no positive evidence that the external world is other than what it appears. You have no more reason for believing the sceptical hypothesis than you have for taking the external world at face value. Yet the latter enjoys a powerful pre-philosophical intuition. There are other considerations. In terms of ontology, it is parsimonious to posit the external world minus the evil demon. The evil demon does not seem to add explanatory value to override the profligacy. Unless you have positive evidence for the evil demon, it is more rational to go for the simpler hypothesis. On this account, you do not know that there is an external world; however, you are more justified in your belief than in the belief that there is an evil demon. P4 would be that I cannot take the external world at face-value if I am under the influence of alcohol etc. However, when the influence of alcohol etc wears off, the external world returns to its consistency. This consistency is confirmed by other people. With such intersubjective agreement, taking the external world at face value seems plausible. No you’re right, we have no positive evidence that the external world is other than what it appears. But nor have we have evidence that it is. And Descartes would have been the first to accept that he had no more reason to believe the sceptical hypothesis than the external world hypothesis. He was arguing only that our reason for believing the external world hypothesis is not conclusive. At each point in his levels of doubt he gave reasons both for and against the beliefs at that level (beliefs, for example, that our senses don’t deceive us). The evil demon is an alternative, not an addition, to the external world (as we usually think of it). I would argue that the evil demon is an addition, not an alternative. I must be external to the evil demon, otherwise how can the evil demon deceive me? If I were internal to the evil demon, then the evil demon is a supreme solipsist deceiving itself. By similar reasoning, the evil demon is external to me. Hence, our reality consists of at least two entities. But if we do not enjoy numerical identity, then there must be in some sense a common background against which we are situated. So there are three entities. Drop the evil demon and you are left with the common background as the external world. I admire your energy in answering all the postings. All this Facebooking activity is time-consuming, so I think I will leave it at that. Thanks for the excellent discussion. Have a look at my response to Terry above. It is crucial that the demon is postulated as an alternative, rather than as an addition, to the physical world. They are different possible accounts of the world ‘external’ to our experiences. No one is suggesting the demon is not external to experiences. But he is postulated as a possible cause of our experiences INSTEAD OF the physical world. (I now see I have been using ‘external world’ interchangeably with ‘physical world’. I apologise. Very misleading. Do please check out my response to Terry. Hi Marianne. Nice website. Your enthusiasm for popularising Philosophy is palpable and commendable. But oh the fun of reading Descartes and Berkely and then thinking about Artificial Intelligence problems and Brain Computer interfaces could keep me occupied all day. Descartes and Berkeley might blow a fuse if I threw Augmented Reality at them. The Pygmalion story is fascinating. What knowledge do I give the girl/statue? Does she have language? How does her knowledge and experience grow? How does she develop a sense of right and wrong? The Chrisitians and Platonists will argue about whether she has a soul. Extend this to Intelligent Autonomous Agents in Computing and suddenly it gets to be real fun. At what point does an Autonomous Intelligent Agent develop a soul? Do you remember a question about whether we wanted our lifetimes extended . Just having the fifty or so years it will take to explore and enjoy the above is one good argument. This is a very interesting article, Frank, thank you. Yes, it would be fascinating to know how D&B would respond to augmented reality. Do you mean the story in the book Pygmalion’s Spectacles? I haven’t read it. Should I? All these questions are fascinating. Perhaps this’ll be my next conundrum!? Yes, I agree that an extra 100 years or so would be good (health intact). But 1000? The psychologists and feminists have great fun with what they call the Pygmalion Fantasy after Ovid’s story of Galatea. Galatea is in Pygmalion’s Spectacles too. Pygmalion was a sculptor who fell in love with a statue he had carved. In time, Aphrodite’s festival day came, and Pygmalion made offerings at the altar of Aphrodite. There—too scared to admit his desire—he quietly wished for a bride who would be “the living likeness of my ivory girl”. When he returned home, he kissed his ivory statue, and found that its lips felt warm. He kissed it again, touched its breasts with his hand, and found that the ivory had lost its hardness. Aphrodite had granted Pygmalion’s wish. I had an interesting time wondering what the boot up sequence for Galatea looked like and whether emotions, knowledge, experience are native packages or need to be downloaded and whether the system remains stable under the shock of their introduction. Questions in brain computer interfaces arise like can we copy and paste emotions like Love, or concepts like Aesthetics and Taste. Are there components to these and is there a symbolic logic to their description. What on earth happens if the interface is not wired but wireless? can it be hacked? Can we Copy and Paste Taste or Musical Preference or Mathematical Ability between people? A novel concept for a finishing school. Very Aldous Huxley. Please, under no circumstances tell Mr Gove. If you can copy and paste Taste can you copy and paste Belief? Is there a plugin that cures Sexism or Racism say? You have even more fun if the brain is unaware of the interface. If you interface a video device to the optic nerve the brain actually sees things and can’t tell that it is a fantasy. Thus becoming a very dangerous witness in court. Can we explore the perceptions of the insane? Now explore even further. If we can do Brain Computer interfaces for Humans, we can do so for Animals too. So suddenly Dog training becomes a doddle. But you also get the benefit of the dog’s far more advanced sense of smell and so you get electronic access to a far richer environmental spectrum monitor. What ethical questions regarding human and animal rights does this raise? I hate long posts Frank, because I haven’t really got time to devote as much time to doing this as I already do! But I have put Pygmalion’s Spectacles on order because you make it sound so interesting. And I now see I needn’t have bothered putting it on order! Thank you Frank. I think there are quite a lot of those at the moment…. I think that is cheating! Either by ‘certain’ we mean what is usually meant by this word, in which case it does not admit of degrees. Or the meaning is different in which case all bets are off! We can certainly have knowledge of things that existed in the past but that do not exist now. I see what you mean. But can we have knowledge of things, like unicorns, that do not and have never existed? Why is tense not relevant in the difference between knowing the chair is blue and knowing the chair was blue? You clearly are an unrepentant Johnsonian! Sadly Johnson missed Berkeley’s point. We only really refute an argument if we have refuted the strongest possible version of it. Hah! As I said elsewhere, I have been a lawyer a lot longer than I was ever a philosopher! When jury is directed by the judge he says that to find the defendant guilty they must be “sure” or “certain” that the prosecution has proved its case. This is where I came in: for me “certain” does not mean something equivalent to “knowledge of irrefutabilty”. I fully accept that I cannot be as certain of the existence of the physical world as I can of my own perceptions but I do not think that matters in any real sense. If the truth of it is that we are all living in something like the Matrix, or indeed that we are all nothing more than ideas in the mind of God, does it MATTER? I don’t want to change the topic, but you posted about assisted dying, as well as just wars – those are really important question that ought to be exercising philosophers, not trying to prove the existence of the external world which can only ever be “proved” on the balance of probabilities, if not “beyond reasonable (non Cartesian) doubt. I thought the standard of decision for a jury was ‘beyond reasonable doubt? Descartes states in the first page of the Meditations that the doubting he will do is not reasonable for practical purposes. He is engaged in metaphysics: in looking at the very foundations of our claims to knowledge. As for whether metaphysics matter in ‘any real sense’….well it depends on what you think is real. I should like to think the physical world is real. Therefore I engage in metaphysics. If you think it doesn’t matter, then you’re free to turn your back on metaphysics. The wonderful thing about philosophy is that it involves the application of logic to any subject under the sun, from assisted dying to metaphysics. And also to the questions of whether we can choose what we do. But unless you are interested in metaphysics (does free will exist?) you will ask does it matter whether I REALLY have free will if I can choose right now to eschew metaphysics! I have done weekend courses on causality. But tell me more about what exactly you want. What is a ‘weak correlation’? A stochastic one? Thank you for posting the biblical references! Definitely a common thread! see http://irrefutable-logic.deviantart.com/art/Correlation-Causation-208650580 Correlation has a score between 1 (certainty) and 0 (certain non correlation) because we now can analyse enormous datasets statistics are starting to arise that show correlations with scores of 50 or 60%. I know correlation does not imply causation (and I know I have vast amounts to learn) but I need a methodology to subject claims made on these weak correlations to critical scrutiny. In city modelling where we use agent models to model population behaviour and compare actual to modelled what kind of deviance in behaviour will be grounds for further scrutiny and a search for a cause. I have a long story about looking for a cause in all sorts of complicated domains that turned out to have a very simple answer. I am afraid I do not know enough about probability theory to engage here. But we could certainly have a weekend on that. I’ll consider it for 2015/16. Thank you! Correction http://en.wikipedia.org/wiki/Pearson_product-moment_correlation_coefficient I had of course forgotten the -1 variation. it doesn’t affect the problem. Interesting point: Is knowledge of the mathematics (or the technology) relevant to reasoning about Truth. All this networked IT stuff is in fact Descartes naughty Demon. Truth is relevant to any reasoning about knowledge, but one can reason about truth without reasoning about knowledge (including knowledge of a particular subject matter such as mathematics. Whereas knowledge requires truth, truth does not obviously require knowledge. The rubric used to be “beyond reasonable doubt” but I think that was too complicated (!). 1: does the concept of burden of proof have any relevance to or place in philosophical reasoning? 2: if it does, then is the onus not on the (strong) idealist to show why we shold NOT believe that our perceptions of what we take to be objects in the external world are caused by such objects? 3: it is logically possible that I am a brain in a vat, but just because I accept that fact I don’t have to give up believing that it is inherently unlikely, so 4: I can legitimately have beliefs about the external world which, IF it exists, amount to knowledge of it. Where, if anywhere, do you disagree? Beyond reasonable doubt seems right to me. How much further could we go? Yes, the burden of proof does have relevance, of course, as it does in any sort of argument. But you would be misusing it to say that the burden of proof is on Berkeley and Descartes. All they are doing is showing that we are NOT justified in believing we know, with certainty, that the physical world exists; that it is consistent with everything and anything we even could know that it might now. This is an extraordinary finding (or it was at the time. Naturally for practical purposes we must go on believing in the physical world, and both D&B would have accepted that). Descartes argument shows, in effect, that the burden of proof is on those who insist that a physical world exists. Berkeley’s argument shows that the burden of proof is on those who claim that physical objects are constituted of mindless matter. I am enjoying our conversation. Marianne. “How much further could we go?” We could insist on absolute certainty, but it might well be that the only truths about which we can ever be absolutely certain are those whose truth is a matter of logical necessity. In that category I would put both the Cogito and mathematical truths such as both “2+2=4” and “you cannot ever have a square triangle”. The reason the demon cannot get behind the Cogito is that it is true in virtue of the meaning of the words used. There simply cannot be a thought, or any other phenomenal content without there being a thinker/perceiver. But that logical necessity alone is not a sufficient reason for rejecting common sense realism. Glad you’re enjoying the conversation! So am I. You shut out the effort of thinking with that answer. If objectivity itself is a defective notion, how do you arrive at the ‘surely’ here (it is through Descartes, his certainty that he is such as to be deceived, that he is god), what sense can memorized answers that are themselves oriented towards the bad concept have for us? The demon is a creature, Satan. Descartes follows Protestant thinking, the miracle is out, Satan remains in the world of the senses as a very ancient creature of unlimited power. Descartes makes himself god. The transcendent, from this transcendence he claims a hold on the objective, the only outside of the world. You need to see how the concept of objective is produced, out of the older medieval thought of objects as what are thrown up against someone in the world. Stop repeating what you learned by rote and make the effort to think new. Chus – You went from asking good questions to telling Marianne off for not engaging in thought. Her thoughts are quite clear to me, yours are not. Thank you for defending me Sean. I am sure Chus didn’t mean to tell me off! Why do I shut out the effort of thinking?I didn’t say objectivity was a defective notion. It IS, however, a difficult notion. I shouldn’t have said ‘surely’, like ‘obviously’ it is usually wrong. I apologise. But ISN’T it an objective fact that either you believe P or you don’t believe P? These two options cover ALL the options after all. If you accept it is an objective fact, and that beliefs are subjective states (i.e. states of subjects), then there are objective facts about subjective states. If you don’t like the way I think Chus, you needn’t continue the conversation! Just ask yourself, what vouchsafes for the primary / secondary quality distinction, tacitly it is the certainty left over from the universal doubt. Now long since disposed of. Otherwise you go to Nietzsche, since the object / subject distinction is subjective, and so chaos. Now, tell me where I am in error? I would happily tell you where you are in error, Chus, if (a) you are in error (b) I can find your error! But I am afraid I do not understand your question. What is it that is long since disposed of? Universal doubt, the certainty left over from universal doubt, or the primary/secondary quality distinction? I don’t think the subject/object distinction is subjective. If it exists it is an objective fact. Even Berkeley would have deemed this distinction real. ‘If it exists it is an objective fact’?????????? And what does ‘exist’ mean here? A circle. ‘Real’!!!!!!!!!!!!!!!!!!!!!!! Where do you get that form? How to you make a determination about what is real, from objective tests? I think that all the qualities are qualia, but something vouches for the distinction between ideas/qualia that point to what is without us, and the ones that involve us. Where is it supposed to come from? What makes the distinction, answer: reason (so-called critical reason). But not subjective reason (not dogmatic nor skeptical reason), but reason thought as god (as transcendent). That is carried over with the Germans (from Descartes, through Kant and Hegel) so it is more obvious if you follow it there on that ground, but it is not necessary to trace it there. It is too simple to bother. You have an entrenched Oxbridge position on your hands, totally effete. So sorry that you think my responses are ‘totally effete’! No need, of course, to read them. The thing disposed of is that special reason that vouches for the division. A reason outside the two that doesn’t lead to regression. No one holds to that, but you still keep with the problem, It makes no sense at all, and it should be abandoned. Ok Chus, let’s do that very thing (i.e. abandon it). Have you looked at any of the philosophy discussion groups on Linkedin? You might find the tone and content of those more to your taste. Look: You say the distinction is objective. That means that subjectivity is objective. An absolute collapse of the distinction. Then you try to get out of it by saying some contents of subjectivity are objective. Am I wrong? Isn’t the argument they teach you quiet silly? But, of course childish arguments and their practical continuation due to institutional authority are quite compatible. That is obvious. But why cling to baby arguments, that have been shown to be inadequate? Now, Mrs. Talbot. I want you you to get out of this stupid wasteful line of thinking. Start teaching something useful to humanity at once! It is horrible and pitiful that so many people have been given this silly lesson for so long, but you can be the one to correct the problem, and that is noble. I don’t think you are understanding me. Are you even trying? I will continue to approve your posts (so long as they are not actually rude of course) because I certainly don’t want to be guilty of censoring anything (other than rudeness). Your view that my arguments are silly is a perfectly respectable view and others have a right to see it. They might agree with it too. Nevertheless I reserve my own right not to get involved. ‘I reserve my right not to get involved’ Reprehensible and opprobrious in a public philosopher. The thinking part of the community has a duty to make known what kind of swill is being slung in the community. I like your new website design! It’s been a while since your last conundrum and I’m happy that you’ve decided you can entertain naive nonsense like mine at least one more time! We use the phrase ‘a thought process’ to describe the way in which we come to a conclusion about something. It seems to me that we only use that phrase because we commonly recognise that our experience is immediate only – i.e. it is fleeting and changing. My experience of writing this sentence seems to be stacked on top of my immediate experiences of moments ago – its the froth on the peak of the wave or the momentary snapshot of a dance. Berkeley doesn’t seem to acknowledge this fleeting-ness of experience, rather he seems to think that an object is something experienced as a whole, like its held static within the mind with its full set of properties in place and thereby exists in that state. That idea is rather alien to me – it is a bit like a whole dance performed in a single moment. I cannot rule out that a Cartesian demon created my mind a moment ago ready for my ‘cogito ergo sum’ moment (and then perhaps destroys me afterwards) and at the same time I cannot honestly think, speak or write about the content of my experience without that experience having already passed. In effect I cannot escape the demon and so I entirely agree with Descartes and the sceptic – I can only be certain that I am thinking, not of what I am thinking, and hence I cannot be certain about the material world nor of the content of my own experience. Hi David, glad you like the new website. Are you following it? I am trying to generate followers! I shall be putting up a new conundrum soon. As I constructed this website for myself I know how it works – unlike the other one. So I promise I’ll keep it up to date! Please use it and spread the word. Descartes, of cours, wasn’t a sceptic. He believed he could get around the demon argument…. Thanks for the response, Marianne – I’m sure you are very busy! Website and FB followed so you may get a speedier response next time (lucky you!). I’ve only looked at the SEP page about Berkeley so I apologise if I have misunderstood him. He talks about an object being a bundle of ideas (his version of a Platonic ideal I guess) a subset of which we experience. I’m not sure whether he considers breaking down individual ideas, such as smell, colour and pain but I’ll find the time to read his full works. When I use the word fleeting I am using it to describe the shortest possible time that I can consciously experience something. When I consider any one my experiences, I ask myself: can I break it down into a sequence of shorter (in time) experiences? More importantly for this topic, is there a limit where I can be certain that I cannot break it down any further? When I meditate on this I can’t honestly find that limit. There are candidates, perhaps qualia, but even for those they feel like they grow, ebb and die away and I cannot be sure that my experience of them doesn’t include some level of self reflection. If it is the case that every experience I am conscious of is flow-like then a demon could always create me in mid flow, so to speak, whether I’m experiencing doubt or anything else. I’m not sure what you mean by a sustained experience (perhaps an example would help) however, if you mean something that is not interruptible (and therefore not flow-like) then I don’t imagine I would acknowledge it. Your experience of a physical object, though, David, is rarely fleeting. Your concept of a physical object is of a thing that endures over time. So even if you experience it feelingly (through a train window perhaps) you’d usually expect that there are temporal parts of it you are not experiencing. Hello Marianne, your website is impressive, especially since it’s all your own work. Well done!! Coming to philosophy a bit late, and from a science background, I’m a little impatient with the fine parsing and apparent circularity of some discussion – I’m more interested in whether my own views are defensible or whether some of them need to be changed in the light of philosophical scrutiny. It happens that the area of thought highlighted in this conundrum did throw up issues where I’ve happily abandoned an old position and adopted a new one. The question has been, is there a real world out there? And if there is, and it obeys physical law, how can that be squared with our subjective experience of agency (freedom to choose what we’ll do), and with our recognition of agency in other humans, assemblages of molecules which are part of the physical world. These have been hard questions, calling not just for answers, but for the selecting of an approach which won’t immediately hit a set of buffers. I think philosophical engagement has to a considerable extent sorted that out, at least for me. very glad you like my website! It is indeed all my own work – even I am impressed! Can you tell me what you mean by ‘the circularity’ of the discussion’? But well done, whatever you mean, for changing your view: that is the most important thing about being a philosopher – being open to the possibility that you might be wrong. Tell me what the problem is that you detect with squaring a real world that obey’s physical laws, and our subjective experience of free agency? Is it the problem that we cannot be free agents if the world obeys deterministic laws? That is indeed a problem. It is the age old problem of free will. It seems to be soluble only by denying we are free (which goes against all our intuitions), or denying that our world is deterministic (which is less counter-intuitive, but not really in a way that helps us). Sure. The example that comes first to mind is Hilary Putnam’s Twin Earth thought experiment, in which two planets are proposed to be identical save for the composition of ‘water’. Although possessing the same physical properties, water is proposed to have a different chemical composition on ‘Twin Earth’. English speaking inhabitants of that planet’ are then using the word ‘water’ to refer to a substance which is not H2O, the question being whether they mean the same thing when they do so. So we start off thinking of water as a wetting liquid useful for washing and making tea, and come back after discussion to water which we now think of as H2O, and try to draw general conclusions about whether meanings are in our heads or in the world. That seems a little circular to me. Another example might be the eternal philosophical angst about the classical definition of ‘knowledge’ as ‘true, justified belief’, where we start off by presuming the existence of an entity, knowledge, then proposing a definition for the entity, then affecting dismay when nothing seems to fit the definition we just invented for our invented commodity. Sounds a bit like an excuse for an argument. Come on! Surely we can say that aspects of the world and other facts are mapped in people’s brains with specified degrees of accuracy, and that’s an end of it, a full description. But ‘end of discussion’ is not a term much used in philosophical discussion. I think that’s my point. It’s all good fun, but rarely – I certainly won’t say never – useful! Water and twin water share the same phenomenal properties, but, as you say, they differ in chemical composition. The question of whether the inhabitants of Twin Earth speak English is very much the question at issue. Certainly it sounds like English, and looks like English (when written). But the word ‘water’ in their language does not mean H20. In English ‘water’ of course does mean H20. I see no circularity in the Twin Earth argument. It is a hugely famous and extremely influential argument. I am afraid you might have misunderstood its impact. The point of TE is to show that twins who are identical in their physical properties and in their phenomenal properties and in their behaviours, might nevertheless enjoy different beliefs and utter words with different meanings. The conclusion of the argument is that pace Descartes meanings (and the contents of beliefs) are NOT in the head. I wonder if you could identify the circularity that bothers you a little more exactly…..I’d love to help you dispel the fear it is circular….. Yes, that’s exactly the problem. It struck me with great force when I first met Newton’s laws of motion at age 16. I was intrigued, rather than worried, amused at its potential to cause headache for the religious authorities who controlled my environment at the time. Alas I was never able to articulate it forcefully enough to get anybody to take me seriously and I moved on. But I was pleased to discover, decades later, that Laplace had the determinism insight independently 😉 in 1814. He couldn’t have missed its implications for free agency, though perhaps understandably he seems to have kept quiet about that! Modern physics has raised doubts about strict determinism, but that doesn’t really impact on the problem. The conflict is between free agency and the reliable regularity of physical law, whether that law is deterministic or otherwise. For me the problem is only apparent. Here’s how it goes away: All facts are facts of experience. I have experience of a regular external world, and I have experience of free agency. On the basis of the first kind of experience I build a model of the universe which I find very helpful when I want to get to the pub, or to Oxford, or, if I’m a surgeon, when I want to take out your appendix safely. I don’t mistake my model for reality, or the map for the territory. It is a model which illustrates part of my experience, for use it when it helps. Much of the time it is very helpful indeed to have this model of a physical world available for viewing, but at other times I switch to another, subjective, model in which I, at its centre, am not a thing but a free agent. When I’m using the first model you are part of my physical world, as, indeed, is my own body. You walk and talk just like me, and you tell me you have experience of your own free agency. At that point I realise you are making a claim for inclusion not only as a thing when I’m viewing my physical world but also to be counted as another free agent when I’m viewing my subjective world. I’m happy to grant you that claim and to confer upon you the status of person. The point is that these two models of the different aspects of my experience are used at different times for different purposes. They are models, and therefore not in conflict. Neither tells the whole story, but the one thing we know about whatever may be out there is that we can never know anything directly about it. All our knowledge is mediated by our experience, so the best we can do is to build useful models, for use as suits our purposes. Earth is round while maps are flat. Mercator and other projections are different but don’t contradict when used appropriately. AAAArgh! Too long – haven’t time….Sorry Hugh can you either be more concise or send several shorter ones please. I am not sure why your youthful in ability to articulate the problem was a problem! It is such a classic problem you’d think at least one of the adults around you would have recognized it. I agree with you that the questions modern physics has about determinism do not impact the problem of free will. If Hume is right, and the natural world is governed by the Principle of the Uniformity of Nature, then there is a problem for free will. When you say ‘all facts are facts of experience’ I wonder what you mean. You cannot mean, presumably, that there is no fact of which we (human beings) have no experience? I’m sure there must be many such facts. Perhaps you mean there is no fact of which we couldn’t have experience (at least in principle)? You are quite right, of course that we have a model of the world of regularity (the physical world), and that we have a model of the realm of subjectivity, in which free will holds sway (the rational world, or if you prefer the world of reason). You are also right that we use these different models for different things – if you tried to understand me only on the model of the physical world, firstly you’d fail, secondly I’d be insulted – to understand me and any other adult human being you need your model of the world of reason. But unfortunately the very existence of these models, the difference between them, and the fact we use them to understand different aspects of our world, goes no way towards dissolving the problem of free will. This is because the problem of free will is not an epistemological problem (a problem to do with our knowledge of the world). It is a metaphysical problem (a problem to do with what IS the case). Either every event in the world is caused, or there are some events that are freely chosen. It would seem that no event (no token event) can be both caused AND free. The ways in which we understand these events is irrelevant. I am fascinated by free will, and enjoy talking about it. But I do have to be careful about my time. I should be really grateful, therefore, if you’d keep your posts concise, or send several, each one with part of whatever you’d like to talk about. Apologies for asking! Briefly: There is a liquid available from my tap which is good for making tea. I understand you also make good tea using a similar substance which comes out of your tap. For this practical purpose my liquid and yours appear indistinguishable. Can we agree on ‘water’ as a suitable name? From now on, when I wish to discuss tea-making with you, I’ll use ‘water’ to mean the liquid which comes out of taps. You will understand my meaning immediately because we have agreed it, it is OUR meaning. If you or I find it handy to extend the use of the word ‘water’ to include the stuff that lies in puddles on the pavement, the other will quickly pick up on the extended usage and it too will be shared. Surely that’s the common sense way to understand our use of language and meaning? It is for me, anyway, and it’s the reason I’m not over-impressed with Twin Earth. We don’t need to go from H2O to XYZ and back again to show meaning is not exclusively in a head. Whoever thought it might be? Quite right we can agree on ‘water’ as a suitable name for the liquid. But the underlying presupposition is that the two liquids share a common nature. If later we discover that one is H20 and the other XYZ we MAY decide to call them two types of water, or we may not. But again I wonder if you are not taking on board the message of twin Earth – that meanings ‘ain’t in the head’ as Putnam put it. In other words our thoughts are not determined by (or identical to) our brain states. It might be that you HAVE taken on board the implications, but are rejecting the thought experiment. Absolutely fine! Thanks for taking the trouble to respond to my very long post, Marianne. I’ll check out the links you gave, and when I get back I’ll remember to be shorter! Glad to hear you’re really interested in free will, Marianne. No doubt you’ve considered whether this may be the case: the physical world hasn’t got free will in it at all. There’s no reason why it needs to have. Our own individual free will can be fully accounted for as a feature of our subjective experience, and free will in others as an attribution we choose to confer on them. There is no test which reveals free will in the physical world, so why make an issue of its apparent conflict with physical law? Of course hard determinism might be true (i.e we don’t have free will). If hard determinism is true, of course, it is already true. But are you suggested Hugh there might be two worlds, one in which free will exists and the other in which it doesn’t? That is a form of dualism, very popular in the past, but it has huge problems. Perhaps I am misunderstanding you? Are you perhaps saying free will doesn’t exist but we can act as if it does? Quite right, Marianne. I’m saying there is a defensible proposition that free will does not exist in the physical world, but that, like the rainbow, human sensory/mental equipment is programmed to perceive it. I’m saying more than that, though: I’m saying there’s no contradiction involved in our indulging that capacity to perceive agency – the usual angst about whether we can legitimately hold people accountable for their actions in such a world is unnecessary. There is certainly a defensible proposition that free will doesn’t exist. But if it doesn’t exist we CANNOT perceive it (perception is factive, i.e. we can perceive things on;y if they exist in psycho-physically optimal conditions. Macbeth didn’t perceive the dagger because the dagger wasn’t there. He BELIEVED he did – but his belief was false. So it may well be that we believe – falsely – that free will exists. In fact if free will doesn’t exist it is clear that we have a false belief that it does. But given that we hold people accountable for their actions on the basis of this belief, if the belief is in fact false, why is there no problem with our holding people accountable? Surely the problem is that we are holding them accountable on the basis of a false belief? There exists an external physical world of which we perceive a bunch of features. We do not perceive free will as a feature of the external physical world. Therefore, we have no grounds for believing free will to be a feature of the physical world. We do experience free will internally. What follows from that? Only that introspectively we should use that experience of free will to make appropriate rather than inappropriate choices. It does not follow we must impute free will to the physical world or face a contradiction. We have a friend Jim who says he feels he’s got free will too. Since Jim seems pretty much like ourselves in most other ways, his claim is plausible. We choose to accept it, and, on the basis that he’s giving a true account of his inner experience, we treat him as if he actually does have free will. We blame him when we disapprove of his behaviour and praise him when we approve of it because we think that’s what he deserves, being a creature who consciously chooses between alternative courses of action. In other words are you sure that the only grounds we could have for believing something to be a feature of the physical world is that we perceive it to be a feature of the physical world? Example: You tell me you have an experience of your own free will. Your claim is consistent with physical law and it chimes with my own interior experience, so I believe you. In our later dealings I ask you to explain why you chose to park your car across my gate, blocking me in. When you then tell me you simply prioritised your own convenience over mine (as if you would! ), I consider what sanction your behaviour may merit. My ultimate sanction would be to withdraw recognition of your agency, relegating you to the status of complex assemblage of physical stuff, of object rather than subject. I don’t think either of us would be happy with that. In short, the operation of the physical world is one thing, human experience quite another. Well, in what way is the claim consistent with physical law? If free will doesn’t exist in the physical world, this is presumably because the laws of physics exclude it because they are deterministic (or as near to deterministic as makes no difference). Our reason for thinking free will doesn’t exist (if this is what we think) is precisely because it is NOT consistent with physical law. Surely? This treatment of Jim respects his personhood while reserving our position about whether on close examination we might or might not find a contravention of physical law when he chooses what to eat for breakfast. We’re not asserting the physical Jim has free will, we’re choosing to believe his account of his own interior experience. Big difference. He, and we, wish to be accountable for the actions we consciously choose to perform. We really do choose them freely within our subjective experience, which is also the seat of our appetite for justice and fair play. I have an intuition the situation here might be clarified by thought experiment, which I’ll think a bit more about. Certainly we treat someone as having free will on the basis he seems to be sufficiently like ourselves (and we believe ourselves to have free will). But this isn’t sufficient for him to HAVE free will (though on your believe that free will doesn’t exist but we can talk about it as if it does, I suppose it does – is this right?). Believing that hard determinism MIGHT be true I am quite prepared to believe that Jim might not be free even though to all intents and purposes he appears to be free. But you are saying – are you? – that if he appears to be free that suffices for his being free? Do think more about a clarifying thought experiment. I am not sure I have your position yet. Though it is beginning to sound like Dennett’s intentional stance: http://ase.tufts.edu/cogstud/dennett/papers/intentionalsystems.pdf – not a position I agree with, but one that is perfectly respectable and accepted by many philosophers. It is not free will itself, but the fact that you have an *interior experience* of free will that is consistent with physical law. Your having an experience says very little about the physical world. This is the realisation that enables rational discussion about responsibility. If you think you’ve got free will you will acknowledge accountability. If you acknowledge accountability I can ask why you to chose to act in a particular way when you agree you could have chosen to act differently. And I can tailor my future dealings with you according to your answer. I’ve said free will is not a feature of the physical world. That doesn’t mean it doesn’t exist. Existence must have a wider meaning. Many concepts, like ‘circle’, are not physical, yet are cardinal in our lives. Free will is of that kind. It’s an idea which can be held usefully as long as it is kept in a separate mental space from ideas with which it would clash. Question: where on the number line can we put the square root of minus one? Answer: nowhere on this number line, try putting it on a number line of its own, at right angles to the ‘rea’l number line, then see where that leads. Result: the mathematics of complex numbers, central to the development of the modern world. Alternative answer: the square root of minus one doesn’t exist in our world of numbers, it’s a trick of the imagination, forget it. Result: opportunity missed! Of course one can have a false belief consistently with the laws of physics. But that is because of the nature of belief: beliefs necessarily admit of both truth and falsehood. So I can believe (falsely) that I have free will consistently with the laws of physics. But (arguably) I cannot HAVE free will consistently with the laws of physics. If we all (or enough of us) falsely believe something it will affect our actions. In the days when everyone believed the earth was flat no-one tried to sail round the world (Presumably!). So of course if we all believe we have free will we will also believe we are accountable. But if we do not have free will we are not IN FACT accountable. When you say ‘existence must have a wider meaning’. How wide must its meaning be? As wide as Meinong would have it? (He thought that our being able to think of something was sufficient for it to exist). We can hold inconsistent ideas so long as we don’t know we do so. Is that what you mean be ‘separate mental space’? But usually the minute we know we believe P and not-P we must drop one or the other belief. I suspect what’s going on here is a presumption that there’s an objective physical world which comprises everything there is and which is independent of human observation. That is not true. Whatever may be out there, it is absolutely nothing like our physical world. We construct the contents of our world – the table I’m writing at is a cultural imagining, an idea. In another culture it might be a supply of firewood. The rainbow is a more obvious example of our constructive activity. Some features of the world, e.g. a few Chinese speech phonemes, are actually not manifest to some perfectly ordinary people, viz. non-Chinese. Therefore everything is at least partly an idea, often mainly an idea, and not infrequently only an idea. There’s no way of eliminating the idea component or of drawing a hard boundary between ideas which have physical referents and those which don’t. So I’m with Meinong if he thinks conceptualisation is a sufficient condition for being. Sensible chap! Aha! You don’t believe there is an objective physical world that exists independently of us and our minds? That does change a lot. But are you saying the reason you believe this is because everyone’s idea of the world differs? This is consistent with there being such a world, surely? Even Berkeley (who believed everything is constituted of ideas) believed in such a world (though he mean something rather different by existing ‘objectively’ and ‘independently of our minds’). Sorry, Marianne, I’m deliberately not taking a position on whether there’s a physical world, I’m saying that whatever underlying physical structure may be out there, it can’t include tables and rainbows. Tables and rainbows are at least in part human ideas. As are triangles and the square root of minus one. As are justice and benevolence. As are symphonies and cup finals. Ideas are what need discussing, not the underlying physical structure. Ideas exist in orthogonal realms, like real and imaginary numbers. Consistency among ideas from different realms becomes an issue only when their realms overlap. Apparent inconsistencies are resolved if the realms can be kept orthogonal, which I believe they can be in the case of free will versus physical law. We do indeed have an idea of table. But why should accept that there aren’t also tables? As I understand it we can admit into our ontology pictures of our world, and the world that we picture. Why do you want to stop at pictures of the world? Because if we admit the world we picture as the objective reality we struggle to find a place in it for free will. But we do have experience of free will. The problem is dispelled when we regard our experience as primary, not some external reality. We have experience of an interior life and experience of an exterior life. The former is enhanced by the concept of free will, the latter by our model of the physical world. If we can remember which we’re enjoying at any point in time, we’ll be all right! Tables, of course, are what (some) humans rest their wine glasses and dinner plates on. If there were no humans, tables would be without function. They might be said to have some form of existence, but since they are comprised of atoms and molecules they are largely empty space. Without some notion of the scale of observation it would be hard to distinguish a table from the rest of the connected universe. At any rate, they wouldn’t be tables! Much less problematic to deal with our experience of tables rather than assume their objective, independent existence. So, it is your view on free will that drives your view on objective reality? Because the latter won’t admit the former, you won’t admit the latter? We DO have experience of free will (or at least we think we do, we certainly have an experience AS OF free will). But many would say this is consistent with objective reality. But you seem to be saying that in order to allow that free will is real we have to deny objective reality and instead say reality is constituted of our experience? Is that what you are saying? Berkeley denied the material world in order to account for knowledge of physical objects which he claimed were consisted of ideas. But he didn’t deny the objectivity of physical objects – they weren’t JUST our experiences. He had to allow for existence unperceived (by us). It may be true that if there were no humans tables would have no function. But surely as there are humans (or do you deny this too?) tables do have a function? Nope, I see a truth about objective reality which no thoughtful person can dispute, viz. that the human sensory apparatus and imagination help construct and sustain it. Objective reality is not entirely out there, it is in large part a set of ideas which humans have developed in a joint ‘act of creation’ and which we store in our individual mentalities. This perspective supplies a tentative solution for the apparent problem of free will, which is: our mentality provides us with experience in two domains, interior and exterior. When we look in we see ourselves as agents; when we look out we see an external world compliant with physical law. We can look in or out, but not at the same time. Memory helps the brain synthesise the domains of experience. In other words, we have no experience of free will when we’re looking out at the external, objective world, only when we’re looking in at our interior, subjective world. Our synthesis blurs the edges between objective and subjective realms and leaves us thinking we see a problem where there’s none. I don’t think I have answered this one. Sorry! I disagree strongly that no thoughtful person can dispute your view of objective reality! The human sensory apparatus and imagination construct and sustain our picture of the world, but not the world itself. There I have disputed it. But perhaps you don’t count me a s a thoughtful person? I have answered your second paragraph in my previous emails I think (which is NOT to say you agree with my answers!). Of course I consider you a thoughtful person, Marianne, and you affirm it by agreeing that our senses and imagination construct and sustain our picture of the world. It’s this creative process which imbues our picture with ‘objects’ like tables and rainbows. We know nothing of the underlying reality, and so can’t know whether it displays regularity. We do experience regularity in our picture, but we have no reason to privilege that experience over another, namely, our experience of our own agency, especially when there’s no evidence we have both types of experience at the same time. Isn’t it easier to think of the human mind as generating two asynchronous types of experience than to try explaining the possession of agency by some organisms in an otherwise law-abiding physical world? And doesn’t Ockham’s razor point us gently towards the simpler solution? b) the world that we picture. It might be that we can know nothing of b) except through a) but that doesn’t entail that there is no b). That is not my position, Marianne. I never said there was no b) [world], I said we can know nothing about it. That is a standard position, from which it follows that we don’t know whether b) is regular. It is also a standard position (Hume?) that humans have a propensity to impute, to look for, to want to find, causation, which is plausibly a sufficient explanation for our having causation in our a) [picture of the world]. On that basis there would be no contradiction between what we know of the world and our experience of free will. I think that’s a reasonable proposition supported by argument. It’s certainly not just an assertion, since I already conceded it was tentative. All I asserted was Kant’s position on the noumenon, which I thought was universally accepted and with which you have concurred. OK, so you think there is a world, but we know nothing of it, not even whether it is regular. Yes, you are right these are standard positions (Kant took the first, Hume (arguably) the second). You also think humans have a propensity to impute causation, which is why we picture the world as containing causation. OK that makes sense. And I accept, of course, that there is no contradiction between our our experience of free will and our view of the world as containing causation. At least not as so far stated. The contradiction comes in if we believe (a) that causation involves determination (i.e. all causation is deterministic), and (b) freewill means action uncaused (performed by an agent for reasons – where reasons aren’t causes). I am getting thoroughly confused. Perhaps If I work through the 4 comments above I will re-discover where we are! Will try. There are realms of ideas. Ideas in mathematics, ideas in the games of chess and football, ideas about the physical world, ideas about interior human experience. To be coherent, ideas need to be consistent with other ideas of their own realm, but not with ideas from other realms. Each realm is constructed and explored to facilitate a set of human purposes and each is legitimately held in isolation from the others while our attention is focused exclusively on its associated purposes. Free will exists as an idea in the realm of interior human experience, but not in the realm of ideas about the external world. Not everybody sees this, no matter how clearly explicated. I’ve no idea why. Maybe it takes a non-universal capacity for shift of perspective. For me it does feel a bit a bit like when you first see the depiction in the famous drawing switch from young girl to old lady. But once you do see, it sticks. Much is revealed! I agree there are realms of ideas (i would say there are beliefs with different subject matters). I can also see why you might think that our beliefs about free will belong with out beliefs about human experience and not with our beliefs about the physical world. But why are we wrong to want our ideas of different parts of the world to be consistent? Not saying anybody’s wrong to want consistency. Just pointing out that commonly lamented inconsistencies are apparent rather than real. The ideas of chess and the ideas of draughts are only inconsistent to a Martian. Once the rules of the respective games are known the apparent inconsistency vanishes! eh? why would a martian think the rules of chess and draughts are inconsistent – only if he falsely thinks the two sets of rules are to be applied in the same circumstances. Precisely the point. The martian needs to know the context in which the rules operate. Checkmate is a feature in the context of chess but not in the context of draughts. Context is feature-changing! When we play the game “Exploring the Physical World” the rules say nothing about free will. When we play the game “Leading a Good Life”, the rules include free will as a key feature. We’re not trying to reconcile human experience with the physical world here, we’re trying to manage two aspects of human experience. If we keep these in their own domains, there won’t be a clash. I agree context is feature-changing. I am relieved that is the point! To answer the first question: No, I don’t think we can prove with logical certainty that an external world corresponds with our beliefs and thus makes them true. It may very well be that logical certainty is not the way in which one can learn about the world, and it may be that logic itself is based on what we empirically observe and process within our experiences. This is why Wittgenstein’s argument from language and meaning succeeds and fails. To use my own parallel argument regarding logic: it succeeds in that certain logical principles (e.g., the law of noncontradiction) can only be known through interaction with a real world from which we derive facts through observation and conclude the impossibility that two should ever contradict each other (in other words, we learn truth! ), and it fails because one can easily doubt that truth or whether the world is real. So, my answer is no. To answer the second question: If accepting Berkeley’s view is a matter of logical necessity, I don’t think we need to. If it isn’t, then we don’t need to accept either his or Descartes’ views. As stated above, logical certainty may not be the way in which we can know about the world. So, in my opinion, I think the way to overcome Descartes and Berkeley is to say that certainty isn’t required for knowledge. So sorry for the lengthy post, Marianne! The idea that logic is itself based on experience is a very difficult one. You know there aren’t any square circles without any experience surely? This is because a contradiction – a logical contradiction – is generated by the very idea of a square circle. There is no logical requirement to accept Berkeley’s view. But if you accept that we cannot be certain of the existence of an external world, your think knowledge involves certainty, and you want to claim we can have knowledge of the external world, then you will have to accept something like Berkeley’s view. I disagree. It takes experience (i.e., observation) to know what a circle is, and the same obtains for a square. We then have mental pictures of these, and only by analysis of these pictures can we tell that a circle can’t have the characteristics of a square. Thus we conclude that the idea of a square circle generates what we call a contradiction. OK. I accept you must have experience to know what a circle is (to have any language at all in fact). But you do not need any extra-linguistic knowledge to know that there aren’t any square circles – once you have understood the words ‘square’ and ‘circle’ you know that square circles don’t exist. You can’t even say what it is I’m supposed to not understand? I guess you can’t even imagine one could doubt of the received doctrine of ox-bridge, this attitude in a philosopher I still do not understand… maybe some people just don’t like too many questions. Interesting that the only interesting objection, to the ground of the question, is not permitted, whilst hackneyed persiflage is treated like golden songs. For me certainty does not necessarily relate to reality. It is possible for us to be “certain” in our self-delusions for example. So reality must be something that is not dependent on our existence and hence must be something that is perception independent. The concept of the realness of an independent reality is interesting. That as essentially perceptive beings we can entertain the notion that things “exist” – we often make the assumption that they exist as we perceive them. So here is a thought experiment. Consider object A … Two observers, B and C … B(A) is the perception of B of A and C(A) is the perception of C of A. Since we can conclude that the perception of A differs between B and C if we remove both B and C we are left with something fundamentally – extraneous of perception. Without it neither B(A) nor C(A) could be possible. So it suggests that there must be something of the “real” world that we interact with after eliminating perception, but at the same time it cannot be known. It can be approximated and that is what allows communication to take place and beliefs to be formed and other meaningful exchanges to be made. If we have an infinite number of perceptions of an object that what remains after sum of the variants are removed is the objective reality. It may be that this reality may not even be tangible/concrete … but it must be there somewhere … So as certainty increases perceptive clarity decreases. Certainty is an epistemological notion rather than a metaphysical one. But it (certainty) certainly relates to reality insofar as knowledge necessarily involves truth. We BELIEVE we are certain about our illusions. But if they are illusions we are NOT certain of them: our beliefs are false. Similarly we can believe we remember something, but if we didn’t experience it we CANNOT remember it: in other words again, our belief we are certain is false. Everything I am saying here is consistent with an independent reality (indeed arguably it requires it). I agree with your thought experiment: there are pictures of the world (beliefs about reality) and they differ from B and C, but there is also a world that we picture, and that is the same for B and C. Truth (and knowledge) arguably arises from this very fact. But to get this fact you met distinguish beliefs about P from P itself. Hugh. Would you say that an arbitrarily sophisticated artificial intelligence/robot which operated under deterministic programming, yet gave the appearance of having free will, would deserve to be treated as if it did? Eg if it were to “misbehave” it would be deserving of being ‘re-programmed”, or perhaps of being switched off? Or would asking such a question be to make a category error? Nice to see someone interacting with another reader! Hello Julian, I agree that’s a key question which picks out seemingly unacceptable consequences for the line I’ve been trying to argue here. The problem for my argument is it has addressed only the reconciling of my own experience of agency with my experience of a regular world. It doesn’t deal with my observation of agency in others who appear at the same time actually to be part of the physical world, fully compliant with physical law. So I must either abandon the argument or extend it to explain my observation of agency in other people. OK, here’s how come I see agency in you. You tell me you are an agent, making free choices. You invite me to hold you accountable for your actions, and you also indicate that you believe my claim to experience of agency and will hold me accountable. I choose to believe you. We thereby confer personhood on each other. I admit to you my subjective world, i.e. to membership in my world of subjects, and you have done the same for me. All this goes on unconsciously. We’re programmed to do it when we meet other humans sufficiently like ourselves. It’s a bit of a thought, but I think it’s a defensible position, in the sense that it doesn’t lead to contradiction. It certainly does have the consequence, getting at last to your question, that any responding and deciding assemblage of physical parts which made sustainable claims to have knowledge and empathy of and with me, and was disposed to be helpful when approached in the right way, could not reasonably be denied at least a probationary recognition of personhood. My intuition is that’s what would granted instinctively in any case. And sure, it might well lead at some stage to the exercise of ultimate retributive sanction through pulling of plugs, etc! An important point here would be the complexity and opaqueness of the machine’s programming. I’m not gong to confer personhood on my bicycle, which has transparently deterministic responses to inputs. But I could not hope to predict the responses of a sufficiently complex machine in terms of its physical operation. I’d be on much safer ground remembering broadly what sort of inputs have generated helpful responses in the past, and hoping that new questions framed in similarly respectful terms will be considered in a spirit of helpfulness. Hugh! So long – and no paragraphs. Unreadable. Hello Julian, I agree that’s a key question which picks out seemingly unacceptable consequences arising out of the line I’ve been trying to argue. I have addressed only the apparent conflict between my own experience of agency, on the one hand, and of a predictable world on the other. I have not dealt with my observation of agency in others who are clearly *of* the world, made of physical stuff, compliant with physical law. That’s a harder problem. (b) your own experience of free agency , and your own experience of a deterministic world (or at least one that is predictable. So let me try to do that now. Here’s the way I see agency in you. You tell me you’re an agent, making free choices and you invite me to hold you accountable for your actions. You say you’ll do the same for me. I choose to believe you. We thereby confer personhood on each other. I admit you to my subjective world, i.e. to citizenship in my world of subjects, and you admit me to yours. All this goes on unconsciously – it’s how we’re programmed to treat other creatures sufficiently like ourselves. You sound as if you are treating him as a being like yourself who has experience of agency…..or at least as a being you are willing to treat as someone with an exerience of free will…. I believe that’s a defensible position, in the sense that it doesn’t lead to contradiction. It does mean, getting at last to your question, that any responding, deciding, assemblage of physical parts making sustainable claims to knowledge and empathy focused on me, and disposed to be helpful when treated with respect, would need to be recognised as a person. I think I would offer that recognition instinctively. And yes, it may well lead at some stage to the exercise of sanction, but social in nature, rather than peremptory and absolute. Pulling the plug or reprogramming would break the mutual respect on which the relationship depends. But now it sounds as if you are talking of Julian as a being known to be determined and physics, but saying that you need to recognise him as a person, whether or not he is in fact a person? Is that right? Complexity in the machine’s functioning would have cognitive significance. I won’t confer personhood on my bicycle because its simple, deterministic responses to inputs are transparent and predictable. But understanding the physical operation of a complex machine will not let me predict its outputs. I’d be on much safer ground remembering broadly what sort of inputs have generated helpful outputs in the past, and hoping new questions framed in similar terms will be considered in a similar spirit of helpfulness. In other words, I should follow my instinct and accept the machine as a person, at least until I’ve a reason for not doing so. Cognitive significance entails complexity I agree. But I don’t think complexity entails cognitive significance, which is what you seem to be saying. But I accept what you say about the intentional stance being a useful one – i.e. if we can, by treating a complex being as a person, predict its behaviour then why not treat it as a person? Its being a person or not would be irrelevant so long as treating it as such was useful (and more useful than any other stance). The intentional stance is a stance taken by the philosopher Dennett. He believes that there are certain ‘systems’, human beings included, whose behaviour can (as yet) be predicted only from the intentional stance, only by attributing to them believes desires, reasons etc. He doesn’t believe this means they HAVE beliefs, deires reasons etc. but only that we can treat them as such. Is this the sort of thing you mean? I am sorry I am having such trouble understanding you. It is a combination of my not allowing long posts (especially unparagraphed ones) and my not having the time. I have tried to devote time this morning, but the different posts became confusing! can’t win. By all means, perhaps, do a long post (although it is so much easier to reply to concise posts), but please paragraph it so it is not too indigestible! Marianne, I do appreciate your taking the time to wade through and respond to these posts. It wasn’t my intention to challenge you to do so, just to state my own view, with reasons, in response to Julian’s excellent question. I did paragraph my longish post, and the paragraphing comes through OK when your site is viewed on my mac. Obviously it gets lost when viewed on another platform. I’ll ponder your responses, and also whether there may be a way round the paragraphing issue. This is a reply to Julian, so I shall concentrate on the posts made in reply to me. In reference to the statements between you and Julian regarding viewing 2+2 = 4 as an absolute truth, I think it would be necessary to view the mathematical statement relative to the dimension in which the addition is performed. In the Cartesian plane, of second dimension, where addition is an orthogonal protocol, the sum of 2 and 2 is 2√2 ≈2.8. It would seem that the demon will not come between if relegated to dimension one. Your website is the Ultimate. Sorry it has taken me a while to get around to this. How kind of you to say you like the website (I assume that IS hat you are saying?!). The demon would not really mind which dimension we consider this in – what is important is that we keep steady the meaning of ‘2’ ‘+’ ‘4’ and ‘=’. Hi Marianne, It’s a bit of a wine fueled conclusion (red, if your not probably wondering) but, I can not see anyway of undermining Descartes. Anything that must be logically true, (like mathematics and geometry) are not proof of an external reality. They would just be true wherever they are. Even externalist views on meaning could be deceived. I like the idea of the demon being proof of an external reality, but, when I dream at night my own subconscious deceives me by creating a seemingly real reality. Could I not be my own demon deceiving myself full-time? Its still a demon of sorts. One might ask why would I deceive myself? The only explanation I can come up with is: I could be the only source of consciousness in a otherwise empty void, and my imagination is providing me with experiences to satisfy my consciousness need for experience -because of having intelligence awareness. Just like a person inventing an imaginary friend, whilst in long term isolation as a coping mechanism. Like big Des says, the only thing I can be sure of is that I think, or, that I’m aware of my own thoughts, (even if they are really mine). I’m aware of something, I am aware, therefore I am. It dose make me wonder why the demon would reveal this information to me? it must have a sense of humor!! “We stand on the shoulders of giants and see further”. Every scientific discipline does this. Philosophy is the discipline that does BIG. Epistemology, for example, has always been the biggest problem in philosophy. Epistemology is the king of enquiries and the big brother of science telling scientists what they can and cannot do. They cannot have “A” and “not A” no matter how many white coats they have. Epistemology provides the rules that every discipline must follow; logic, maths, rational argument, the scientific method, the demarcation between science and pseudo-science, the definition of truth and nominalism. In 2015, and indeed since 1972 with the publication of Popper’s “Objective Knowledge”, we don’t do subjective knowledge or belief. We don’t give a monkeys where you got your idea from, rationalism or empiricism. We only ask if it corresponds with the facts and “how can we test it?”. We don’t do Aristotle’s test of subjective knowledge, we test whether or not it is objective knowledge.